Thomas Walter Swan (1877-1975) graduated from Yale College in 1900 and attended Harvard Law School, where he was Editor-in-chief of the Harvard Law Review. He was brought to the Law School as Dean in 1916 from private practice in Chicago and a lectureship at the University of Chicago Law School. The subjects of Dean Swan’s research and teaching were bankruptcy and corporations. He remained the School’s dean for slightly over a decade, until his appointment to the United States Court of Appeals for the Second Circuit. At the Law School, a scholarship fund was established in his honor in 1958, a student loan fund in 1947, and a library fund in 1942. Laura Kalman, Legal Realism at Yale 1927-1960 (1986). Eugene V. Rostow, “Thomas W. Swan 1877-1975,” 85 Yale L. J. 159 (1975). 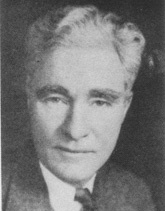 Edward Sampson Thurston (1876-1948) was a professor at the Law School for a decade, having been recruited from the University of Minnesota. 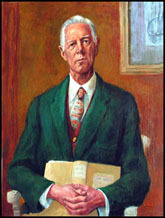 Thurston, a leading contracts scholar, was best known for his casebooks, Cases in Quasi-Contract, which first appeared in 1916, and Cases on Restitution, which was published in 1940. A graduate of Harvard Law School who was considered a “traditionalist” by the Law School’s Legal Realists, Thurston left Yale for his alma mater in 1930. 2 Who Was Who in America 532 (1963). Karl Nickerson Llewellyn (1893-1962) enrolled in the Law School after being wounded while serving as a volunteer in the German army in World War I. He was Editor-in-chief of the Law Journal 1918-19. After graduating in 1918 and receiving an advanced law degree (J.D.) in 1920, serving as an instructor at the Law School during his graduate study, Llewellyn returned to Yale in 1922 as a member of the faculty. He left Yale for Columbia after only three years, but his early Legal Realist work was to inform the rest of his career, particularly his contributions to the drafting of the Uniform Commercial Code. With the possible exception of Jerome Frank, Llewellyn was the most prominent and important of the Yale Legal Realists of the 1920s and 1930s. While Frank argued that legal decisions were dependent upon the mood and personality of the jurist—and thus were inherently unpredictable—Llewellyn argued that judicial decisions fell into predictable patterns, but that the patterns could not be predicted solely by examining the declared rules of decision. Llewellyn maintained that judges often applied social norms, and in particular—in commercial law cases—norms of commercial behavior. Llewellyn was later to apply this insight to his foundational work on the Uniform Commercial Code, which instructed judges to require “good faith” and “reasonableness,” which often meant enforcing the relevant industry norms. Insofar as industry norms are geared toward increasing economic efficiency, Llewellyn’s ideas have been characterized as anticipating the efficiency analysis of the Law and Economics movement. Brian Leiter, “Karl Nickerson Llewellyn,” in Neil J. Smelser & Paul B. Baltes, eds., International Encyclopedia of the Social and Behavioral Sciences 8999 (2001). Alan Schwartz, “Karl Llewellyn and the Origins of Contract Theory,” in Jody S. Kraus & Steven D. Walt, eds., The Jurisprudential Foundations of Corporate and Commercial Law (2000). 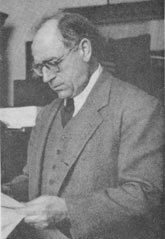 Wesley Alba Sturges (1893-1962), an alumnus of the Law School (1923), was one of the most popular teachers on the faculty of his day and served as dean of the Law School from 1945-54. He retired from Yale in 1961 to become dean of the University of Miami Law School. A prominent figure in Yale’s Legal Realist movement of the 1930s, Sturges wrote on a range of commercial topics, including bankruptcy, arbitration, and credit transactions. In a well-known article, “Legal Theory and Real Property Mortgages,” 37 Yale L. J. 691 (1928), Sturges (with Samuel Clark) demonstrated that doctrinal distinctions between “lien theory” and “title theory” had no impact on how courts ruled in mortgage disputes. His casebook, Cases and Materials on the Law of Credit Transactions (1936), embodied the Realist functional approach to law, organizing cases in the way a practicing lawyer would approach problems and combining what were previously separate courses in bankruptcy, mortgages and suretyship, into one course on the credit system. The casebook on Credit Transactions also highlighted contradictions in judicial decisionmaking. It served to further the Realist world view that Sturges found lacking in other casebooks emphasizing “general principles,” which he criticized for “leaving [students] ignorant of the fact that they will be concerned with judges who behave as human beings in deciding cases, … overstimulat[ing] them with confidence that a deduction from what judges said in one case with its setting can be used to fix what they will decide in another case,” and “isolat[ing] into chapter-compartments parts of a single business operation as it is understood in business practice.” “Book Review,” 40 Harv. L. Rev. 510, 513 (1926). Sturges’ work on bankruptcy included his textbook Cases and Materials on the Law of Administration of Debtors’ Estates (1933), and an important article, “A Proposed State Collection Act,” 43 Yale L. J. 1055 (1934), in which he proposed a blanket rule to give earlier commercial creditors priority over subsequent ones, in order to minimize the risk of creditors lending to an already overburdened lender. He was also influential in the growth of arbitration, publishing Commercial Arbitrations and Awards (1930) and Cases on Arbitration Law (1953), and serving as president of the American Arbitration Association. 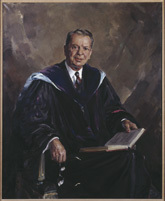 A scholarship fund was established in his honor at the Law School in 1954. 4 Who Was Who in America 916 (1968). Roscoe Turner Steffen (1893-1976), a Law School alumnus (1920), was on the faculty for over two decades. A member of the Legal Realist movement, Steffen was a leading agency law scholar, and taught the first-year agency course at Yale. Roscoe Steffen published on a broad range of commercial law topics (the earliest work being published under his then name Roscoe B. Turner). Among his early work in the Realist vein was a two-part study of certified checks, published as “A Factual Analysis of Certain Proposed Amendments to the Negotiable Instruments Law,” 38 Yale L. J. 1047 (1929), and “A Blue Print for the Certified Check,” 13 N.C. L. Rev. 450 (1935) (with William F. Starr), and an article on independent contractor cases, “The Independent Contractor and the Good Life,” 2 U. Chi. L. Rev. 501 (1935). In the latter article, Steffen studied how courts applied the rule of employer liability for independent contractors, contending that courts held employers liable in situations where they decided the contractors’ work was “dangerous” rather than by legal principles (how “independent” the contractor was). In addition, Steffen’s innovative 1933 casebook, Cases on the Law of Agency, was one of the first to attempt to integrate modern problems of business organization into the agency materials. It remained in use for decades, with subsequent editions in 1954 and 1969. Alexander Hamilton Frey (1898-1981) was an alumnus of Yale College (1919) and the Law School (1921; J.S.D. 1925). He was one of the talented Yale graduates hired by Dean Swan in the 1920s under Arthur Corbin’s strategy of appointing a “crop of young instructors” who had trained at Yale. He left Yale upon his marriage to a student in 1930, and joined the faculty of the University of Pennsylvania Law School in 1932. At Penn he taught labor law as well as corporate law, and played a leading role in the creation of the Philadelphia branch of the American Civil Liberties Union. Alexander Frey’s views concerning legal education were imbued with Yale’s Realist tradition. He advocated introducing law students to real world legal problems rather than abstract cases (such as the world of credit transactions and insurance) and to the social sciences, in order to develop empirical knowledge that could bear on resolving legal problems. “Some Thoughts on Law Teaching and the Social Sciences,” 82 U. Pa. L. Rev. 463 (1934). Like his former Yale colleagues Roscoe Steffen and Wesley Sturges, he criticized as anachronistic casebooks that retained an unbalanced emphasis on partnerships despite the increased use of the corporation in business, and suggested that the agency course should be integrated with the business organizations course, so that students would be able to compare both the unincorporated and incorporated business form. E.g., “Book Review,” 83 U. Pa. L. Rev. 1037 (1935). Frey authored several successful casebooks, including Cases and Statutes on Corporations (1st ed. 1935), an innovative book in the Realist tradition that included materials in addition to cases, was organized on functionalist principles by business transaction rather than legal doctrine, and combined subjects typically treated in separate courses, partnerships and corporations. Photograph courtesy of University of Pennsylvania Law School. Artist: Lucius Crowell. “Alexander Hamilton Frey, 83, Professor and Civil Rights Leader,” Phil. Inquirer, Sept. 1, 1981. Laura Kalman, Legal Realism at Yale 1927-1960 ​(1986). F. Hodge O’Neal, “Alexander Hamilton Frey: His Contributions to the Law of Corporations and Business Associations,” 116 U. Pa. L. Rev. 1140 (1968). “Yale Law Professor to Wed Girl Student,” N.Y. Times, Jan. 25, 1930, at 12.